Hailing from a small town in India, school for me was largely a means to an end. Rather than a chance to explore and cultivate my own interest, education was a path to a degree that could be used to obtain a steady and respectable career. Throughout my childhood, however, I was a curious boy; I was always intrigued in science and fascinated by technology. My curiosity often had me taking apart my toys, attempting to understand how they worked instead of playing with the toy itself. My inquisitive nature produced boundless questions, yet there were few resources available to satisfy my young mind and its insatiable appetite for information. When I first learned of McAfee Explorers, I knew I had to get involved! McAfee Explorers is an on-demand, job shadowing and career guidance program for children of McAfee employees and soon, the larger community. 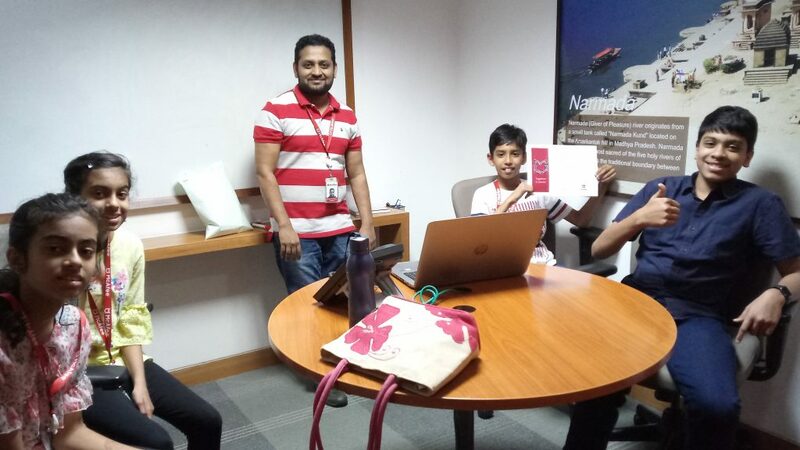 Children ages 11-18 can come into a McAfee office and be paired with an Explorer Host (a trained McAfee employee) for job shadowing experience—bringing to life the ideas and interest of each participant. This opportunity brought back memories of a younger me, hungry for knowledge and education. It made me think about how much I could have benefited from a program like McAfee Explorers as a youth. Not only was I excited to share my own experiences and expertise, I was looking forward to learning and observing how future generations approach learning and how they tend to their own growing minds. Drawing on my own childhood experiences, I have been mindful to find ways of relating my work to the children participating in ways they could understand and find interesting. As we know, tech jargon about algorithms, data structures and programming languages can come off dry. McAfee Explorers has challenged me to present these topics in ways that describe how integral each function is to the holistic mission of our company. The program has pulled me out of my proverbial day-to-day role and has given me a reinvigorated sense of purpose and contribution. Working with the children has been an absolute blast! Explorer kids are sharp, keen observers and teach me that solutions to our biggest problems don’t always require complex thinking from the most learned minds. Answers can stem from asking small questions on fundamentals. The participants are eager to learn with every new topic, engaging the hosts on a new level with their out-of-the-box questions. There is a vibrant chemistry between participants and hosts alike, which makes for a truly enriching experience for everyone! Mahatma Gandhi once said, “A teacher who establishes rapport with the taught becomes one with them and learns more from them than he teaches them.” And I believe that this perfectly reflects the spirit of McAfee Explorers. I am very grateful that McAfee provides this career opportunity. I take great pride in working for a company that empowers its employees to take an active role in their communities. McAfee Explorers has allowed me to connect with my past and use the tools I have today to create a space for young minds to explore and flourish. This program is very meaningful to me—and I plan to stay involved as it continues to grow.